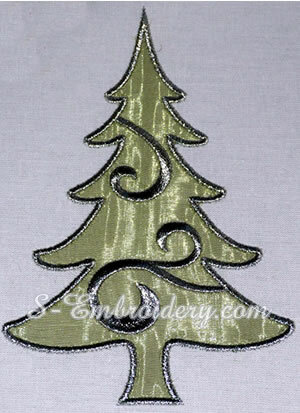 A set of 2 applique Christmas tree machine embroidery designs. 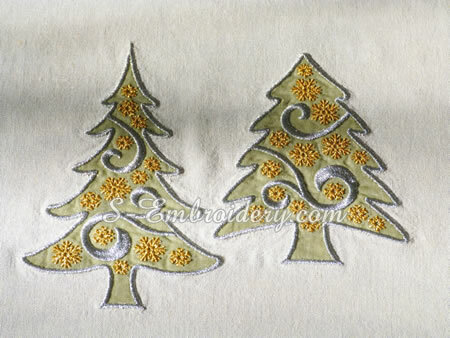 Each of the 2 designs comes in 2 versions - with and without snowflakes. 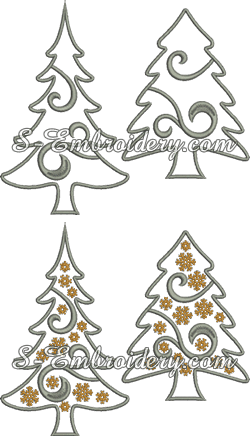 The designs will fit in 5x7 hoops. 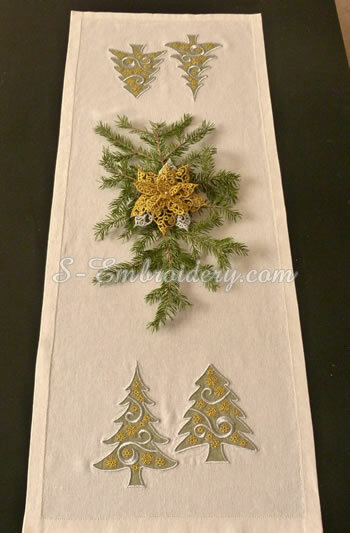 Note: The 3D poinsettia lace embroidery on the photo is NOT included. 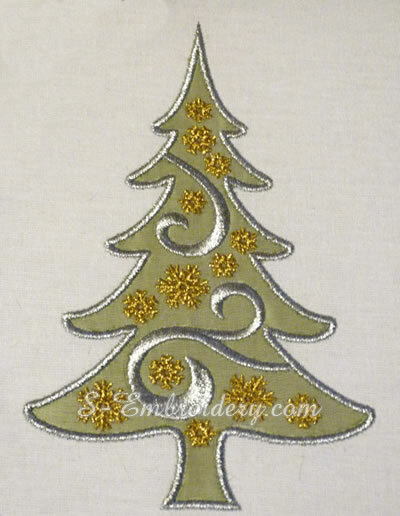 It was created with the 10635 Poinsettia free standing lace Christmas ornament set which can be purchased separately.